Description: Flores del Rio Condominium consists of eight 2,600-square-foot split level units on a deep water canal 1/4 mile from the InterCoastal Waterway in New Smyrna Beach, Florida. Each unit is assigned a 30' boat slip and a private 2-car garage, as well as a 100-square-foot secured storage room. Heilman Architecture designed the breathtaking pool deck and infinity edge pool. The City's Chief Planner commented that this project "raises the bar" for waterfront development in New Smyrna Beach. This is Dart's fourth project with this Client. Description: Project management for a new eight-story condominium located on prestigious South Atlantic Avenue in New Smyrna Beach. The tower will contain 19 units averaging over 1,800 square feet each. Amenities include an oceanside pool, enclosed parking, and private balconies facing both east and west. 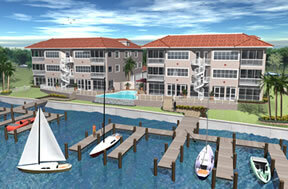 Description: Development services for a new, 18-unit luxury condominium on the beach just south of Cocoa Beach. The project consists of one, six-story reinforced concrete building with secured parking below the building. Typical units include 2,000 square feet and a view of the Atlantic Ocean and the beach. Other amenities include a heated pool, hot tub, sun deck, and boardwalk. 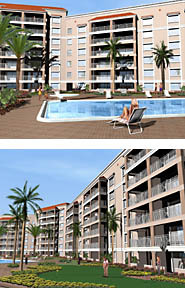 Description: Construction of a new, 33-unit luxury condominium on the beach in Cape Canaveral. Average sale price is $400,000 per unit. 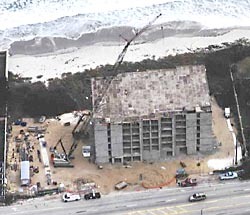 The project consisted of two, five-story reinforced concrete buildings with parking under each building. 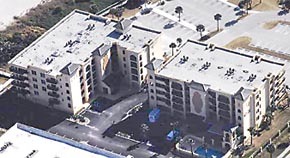 Description: Structural repairs, remodeling, and updating a 27-year-old, six-story reinforced concrete building. The project includes 85 units. The 'Ten Commandments' for avoiding major budget busts" in December 2000.